Join us Wednesday, 8/8 1:00- 2:30 pm, at 1 Smithfield St downtown, at the Health and Human Services Building. 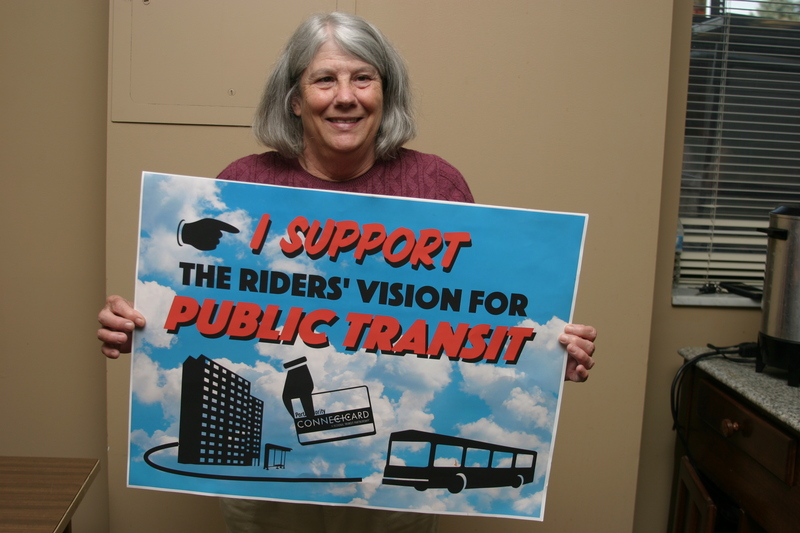 Contact Laura at laura@pittsburghforpublictransit.org or (703) 424-0854 if you need a ride. Also Wed, Aug 8th: PPT August Membership Meeting! 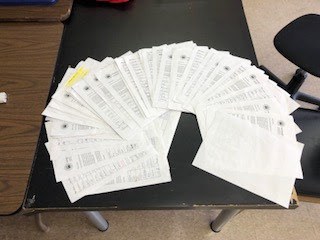 Thanks to the hard work of several Brookline residents and business owners, we collected over 580 signatures on a petition calling for improved 39 bus Saturday service frequency, and for the Sunday service to be restored! This past Friday those petitions along with very moving testimony were presented to the Port Authority CEO and board of directors. We’re hoping that it will make this year’s service changes, so stay tuned for upcoming actions. Welcome PPT’s Newest Community Organizer! Joshua Malloy started his organizing career as a worker organizer with Hospital Workers Rising, an organization backed by SEIU. He worked toward giving workers a voice on the job and fair and equitable wages. He saw the effect that poverty, racism, and gentrification had on his community and he wanted to do something to address it. 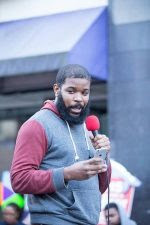 Now working with Pittsburghers for Public Transit, he plans on continuing to fight to ensure that marginalized peoples voices are heard and respected. Born and raised in Wilkinsburg and a frequent user of public transportation, Josh has witnessed first-hand what happens when neighborhoods are left behind. 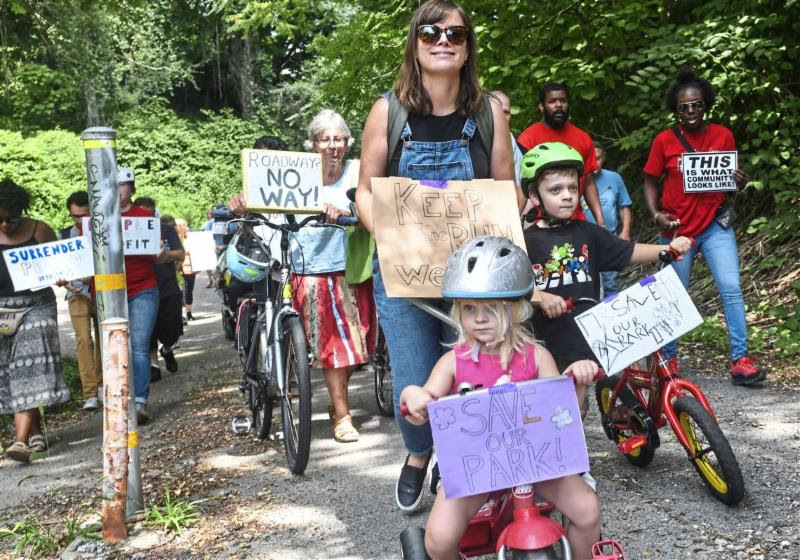 The Mon-Oakland Connector action Sunday had an incredible turnout: 75 Run and Panther Hollow residents came out to protest the city’s plan to run an autonomous micro-transit pilot shuttle. When a system like this was implemented in Kansas City, it was a dismal failure, only transporting 1,480 trips over the course of the year at a cost of about $1000 per passenger. PPT is opposed to privatization and autonomation of good public transit jobs. Walnut Capital is attempting to con taxpayers into subsidizing a private parking garage at Bakery Square, and calling it a “transit center.” Developers should not make transit decisions for the Port Authority and the public. Learn more about the Bakery Square “Parking Garage Transit Center” in this great City Paper article. At 9:30 am August 9th there will be a public zoning board hearing at 200 Ross St about the Bakery Square parking garage height variance that is being requested. We want to take this opportunity to point out how this is not for the benefit of bus riders, and the 25 million that the Port Authority would have to spend to make a Bakery Square busway stop would be better spent elsewhere. If you are a Larimer resident, please let us know! Call Josh at 412-607-7726 — your voice matters. And get ready for a Rail-Volution! There’s an upcoming national transit conference that will be held right here in Pittsburgh this coming October – 2018 Rail~Volution Conference. This conference will bring together folks talking about transit, land use, development, housing, walkability and all the important questions that they raise. For best rates on the conference and hotel, register by September 21. It’s costly, so for folks that may not be able to afford tickets, you can reach out to Laura (laura@pittsburghforpublictransit.org or 703-424-0854) to talk about scholarships and volunteer opportunities. Scholarship applications are available, closing August 10. To learn more about the topics of this years Rail-Volution, go here.